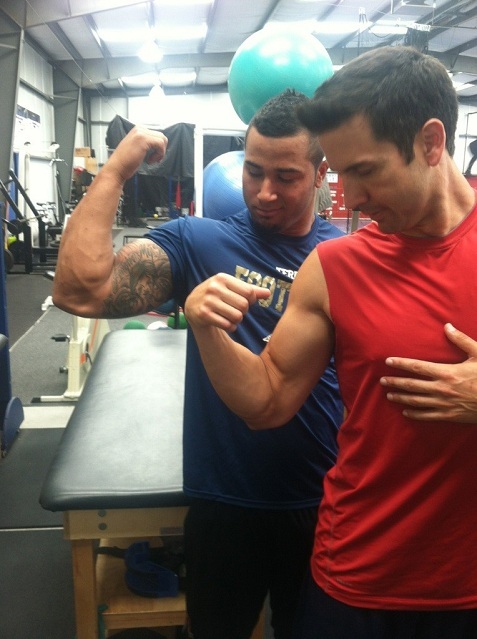 Ryan Mathews aims to look tough in this Twitter photo as he flexes his bicep and flashes his arm tattoo, but he got injured again in the first preseason game for the San Diego Chargers, shaking things up in the top 5 in many drafts. Fantasy guru Evan Silva addresses this in one of his ongoing drafts where Mathews was the overall #2 pick before news broke of his injury. Now you grab him later as a value pick as he should be back by week 2-4. Another injury involves Trent Richardson, who went #17 in this draft. It’s not clear whether this pick was made before or after his latest injury news. Richardson, however, is expected to be back in week one. He’ll certainly slip a bit in many leagues, but he has looked great in camp and should get a ton of carries in the Browns offense this year. Can D’Qwell Jackson lead Browns defense to a better 2012?